Pastor John Hagee revived CUFI in February 2006 in San Antonio. Touting itself as a grassroots organization, CUFI brings together Christians from a wide range of denominations and thousands of churches for one unified cause: supporting the state of Israel. By 2015, they had 2 million members but that number has continued to grow. In the last year alone, CUFI added another 1.5 million members. In November, they announced their membership reached 4.5 million and it is now at 5.4 million. CUFI now has 4.5 million members. Imagine if 4.5 million Christians blessed Israel today? On #GivingTuesday, every gift you give will be matched by a generous donor. Your gift to CUFI will be DOUBLED! Shari Dollinger, co-executive director of CUFI, sees Christian support for Israel as an asset that is unprecedented in Jewish history. As a Jew, Dollinger sees this as a necessary component for Jewish survival. Though many – particularly American Jews felt that anti-Semitism was a thing of the past and that the existential danger had passed, Dollinger viewed the situation differently. She recognized CUFI as having a central role in how the Jewish people will cope with this age-old threat. CUFI is currently holding a leadership summit in San Antonio. It may be that CUFI has more members than there are Jews in the U.S. but the comparison is problematic. Each of the many branches of Judaism defines Jewish identity differently and people of Jewish ancestry may not self-identify as Jews. As a result, estimates of how many Jews live in the United States vary widely. A Pew survey in 2013 defined Jews as those who practice the religion. The survey reported 4.2 million adult Jewish Americans or 1.8 percent of the total U.S. adult population. CUFI has surpassed that but some estimates of the Jewish population go much higher. 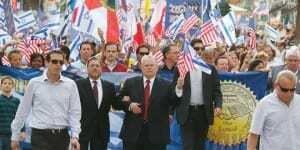 Even if there are more Jews in the U.S. than CUFI members, the support for Israel of the Christians in America is more impactful in terms of magnitude and perhaps even more faithful than that of the Jews. Over the last hundred years, Jewish voters have been staunchly faithful to Democratic presidential candidates, choosing that party even when the Republican candidate had a more -pro-Israel agenda. After it became clear in former President Barack Obama’s first term that his administration did not favor Israel, an estimated 68 percent of Jews voted for him in his second run for the White House. And in 2016, when Donald Trump ran on a platform of moving the US Embassy to Jerusalem, fewer than 25 percent of Jews voted for him as compared to more than 80 percent of evangelicals. Even more disturbing is the number of U.S. Jews who objected to Trump fulfilling that campaign promise. A survey commissioned by the American Jewish Committee (AJC) in May revealed that more than 80 percent of U.S. Jews support the two-state solution and that about 80 percent were against moving the embassy to Jerusalem. According to a similar poll released by the Brookings Institution, 53 percent of American evangelicals supported Trump’s decision. Sondra Oster Baras, Director of the Israel office of Christian Friends of Israel Communities, agrees that Christian support is essential to Israel, perhaps even more so than the support of the American Jewish community. Baras can confirm this first hand as she witnessed enthusiastic support for Israel when she first started her organization more than 20 years ago. 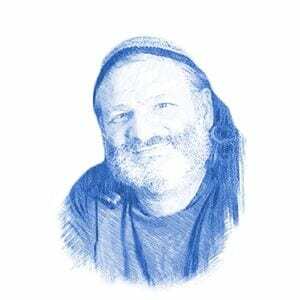 Baras is a strong advocate of Aliyah (Jews moving to Israel). “Our relationship with Christians is vital to Israel,” Baras concluded.